Beyond season 2 has been confirmed by network Freeform. The viewers are liking the new sci-fi drama which premiered just last week. It is already renewed for the next season. As of now, only two episodes have aired on the TV while the whole installment is available on Freeform.com and the Freeform app with a subscription. Moreover, the fans can watch it on Hulu and iTunes with a purchase. So, people have already got the access to the complete season 1, and most of them have already watched it. That’s why people have started asking if there will be another installment of the show. 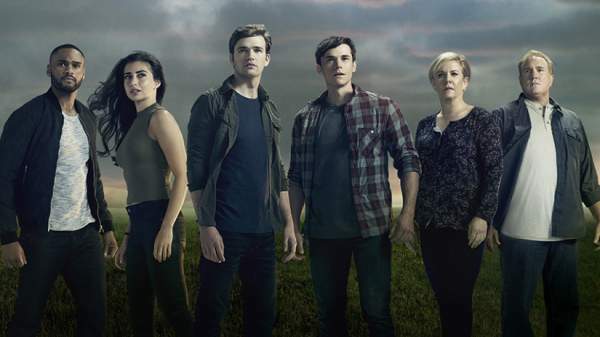 To the fans, there is good news that Beyond is now renewed for season 2. Though Freeform doesn’t have a positive track record for renewing new shows the network has done for it. Making the whole season available on the streaming sites have attracted a lot of new viewers. Without it, those viewers may not have watched the show otherwise. According to a report, Beyond season 1 episode 1 attracted around 1.182 million viewers. It airs on Monday at 9 pm ET on Freeform after the network’s hit series Shadowhunters. ABC Family Worldwide’s science fiction series Beyond aired its two-hour premiere on Jan. 2 simultaneously on TV and as an on-demand release. The basic storyline of the sci-fi drama series is that the story revolves around a teenager boy Holden (Burkely Duffield) who wakes up 12 years of coma after hitting with a meteor. After waking up, he discovers his new abilities he can’t explain. Thrust into the middle of a dangerous conspiracy, Holden must decide who he can and cannot trust. The show also stars Romy Rosemont, who people may recognize from Glee, Dilan Gwyn, Jonathan Whitesell, Michael McGrady, and Alex Diakun. The show is about to get the required fan following. If you haven’t seen it yet, you should give it a chance. You have got nothing to lose. Odds are, you may get a new show of your taste. The Fosters is also renewed for its fourth installment which will premiere on January 31. Beyond season 2 will air probably at the same time next year.